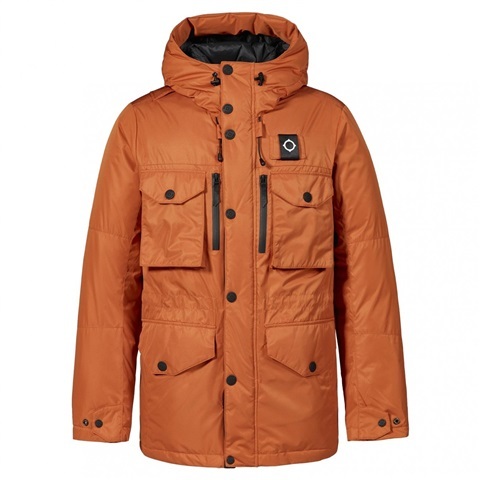 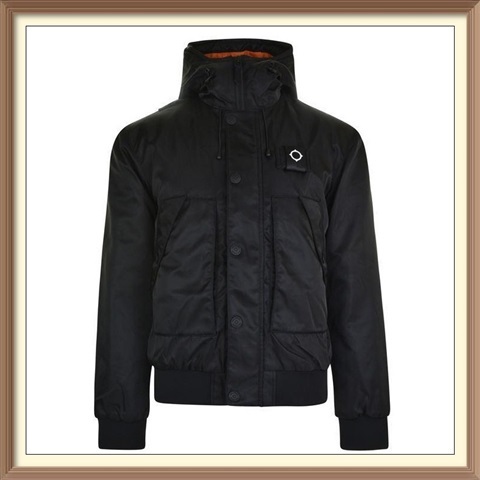 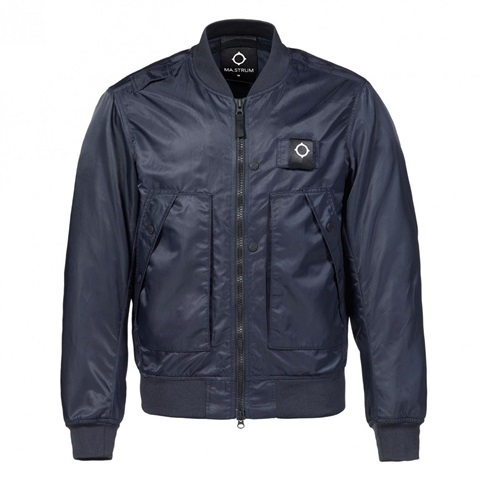 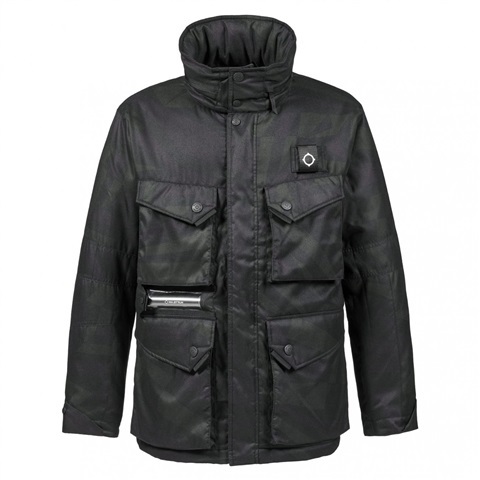 The Torch Jacket has long been an emblematic MA.STRUM style, a literal measure of a brand mentality that champions textile innovation and utilitarian design. 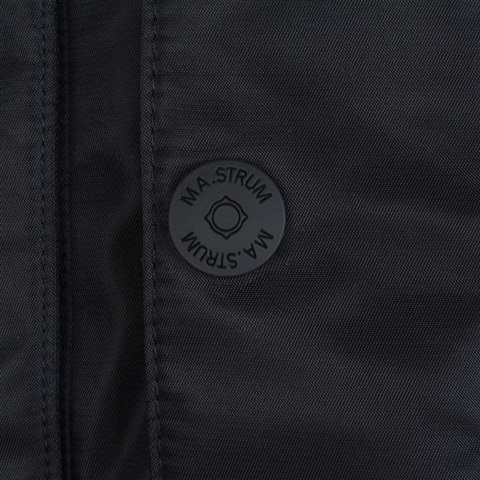 The 2018 version of this MA.STRUM classic takes cues from the military icon the M-65, a garment first introduced by the U.S military in the mid 1960s. 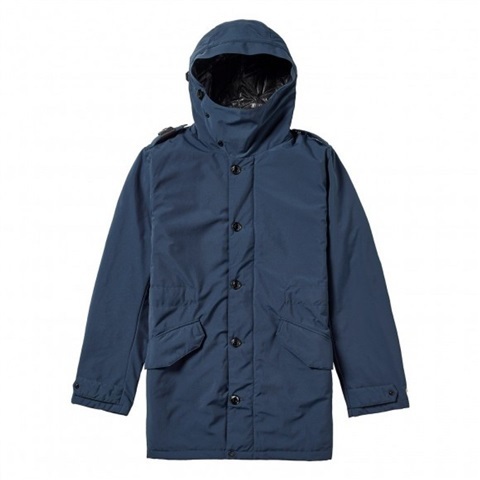 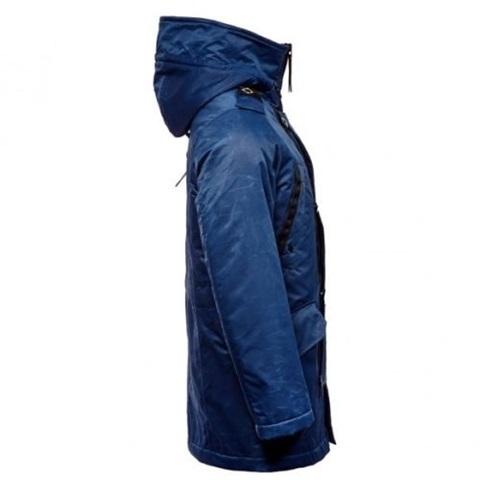 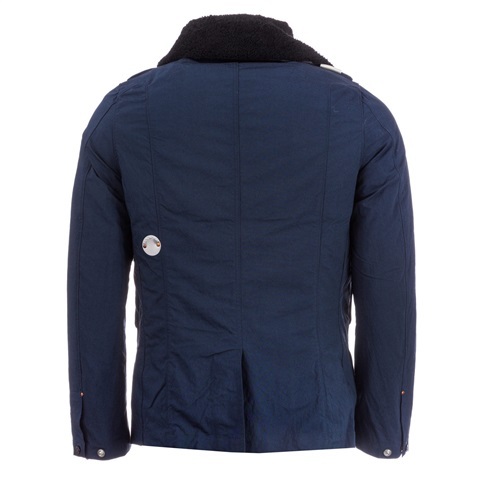 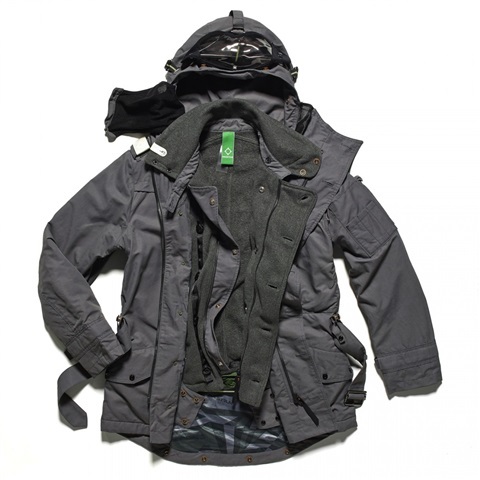 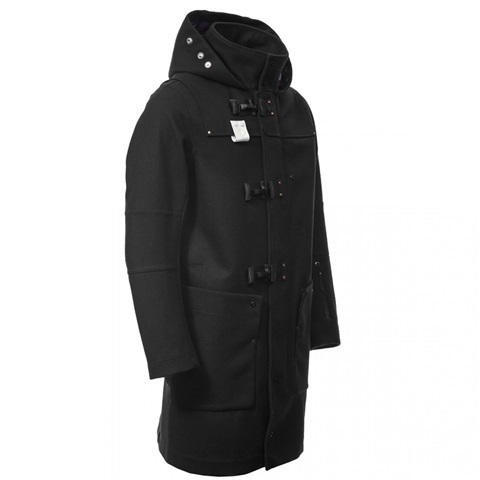 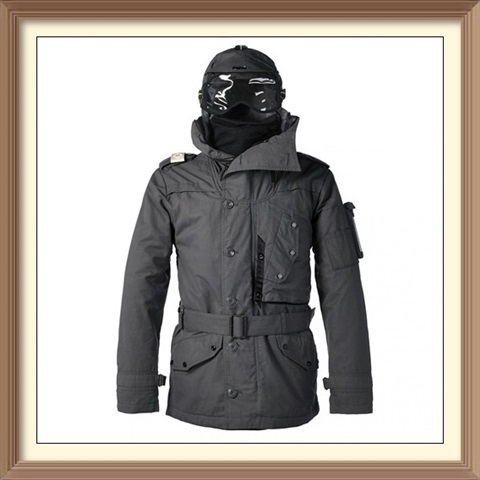 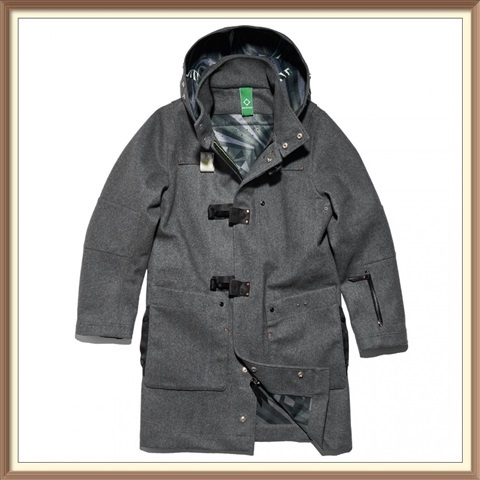 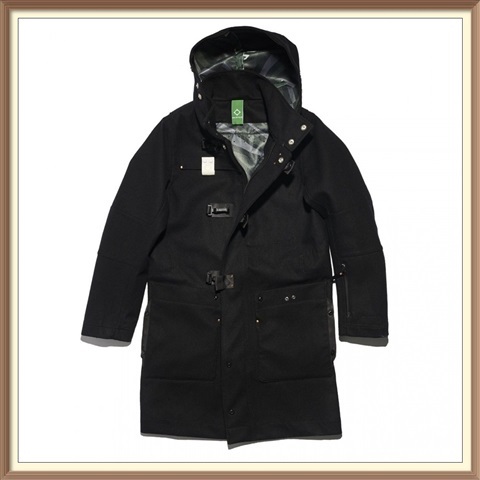 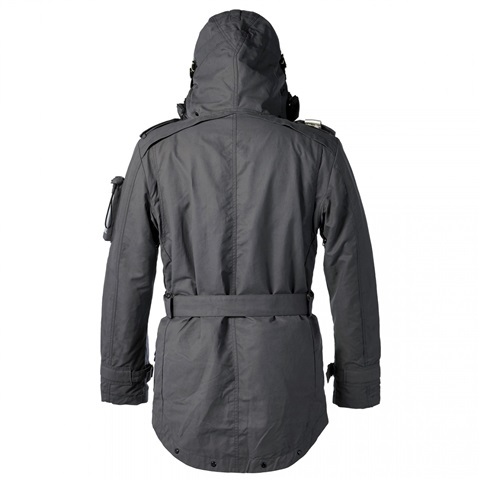 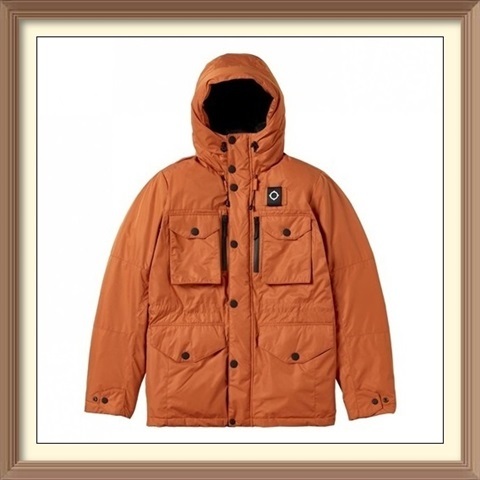 Its field jacket silhouette features four pockets, a funnel neck with concealed hood, a zip front with snap-fastening placket and of course, an LED solar torch. 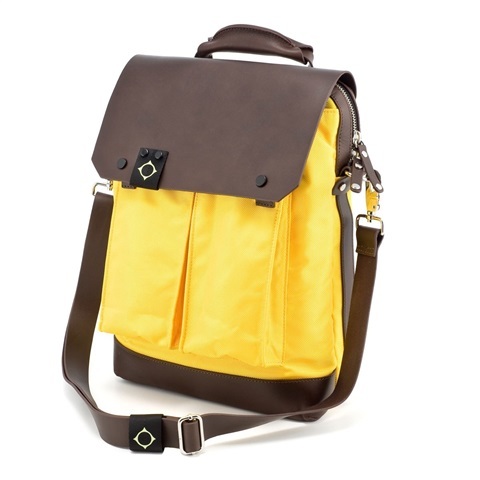 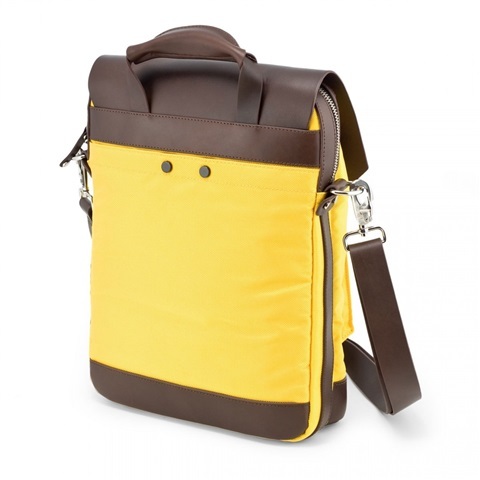 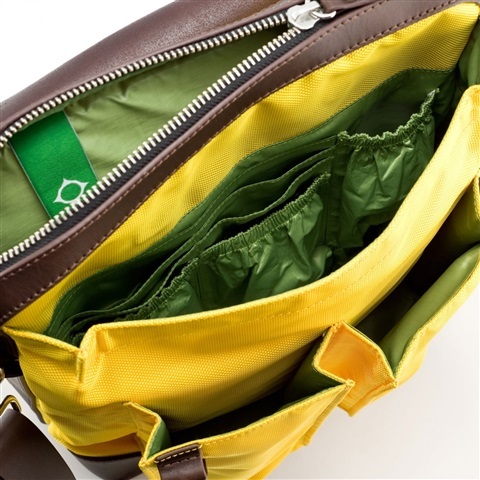 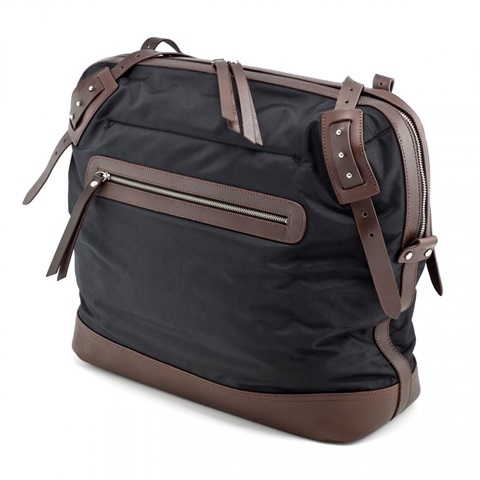 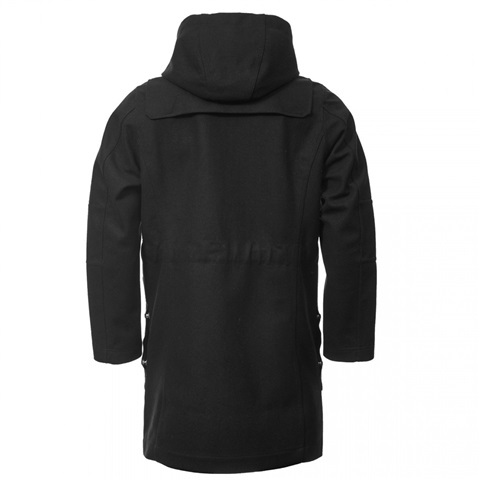 The latter is housed in a snap-fastening pocket with a polyurethane window. 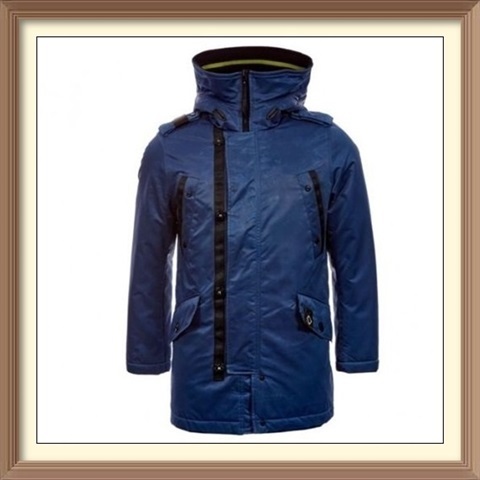 This window allows for the torch to charge whilst worn in daylight; decreasing the likelihood of this garment asset running empty. 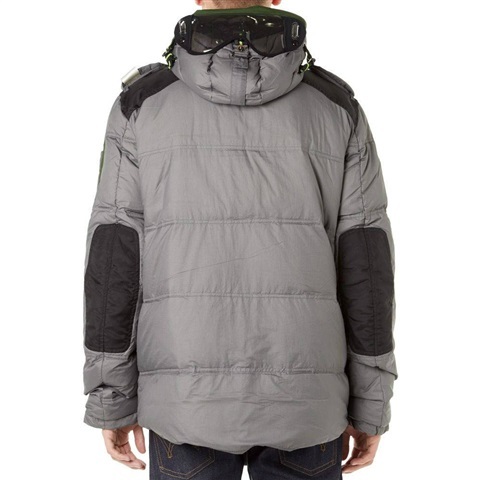 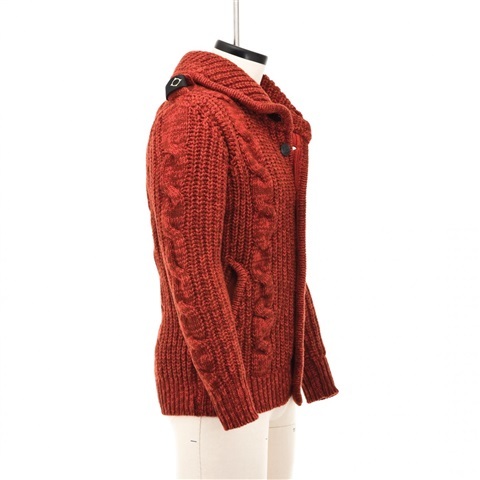 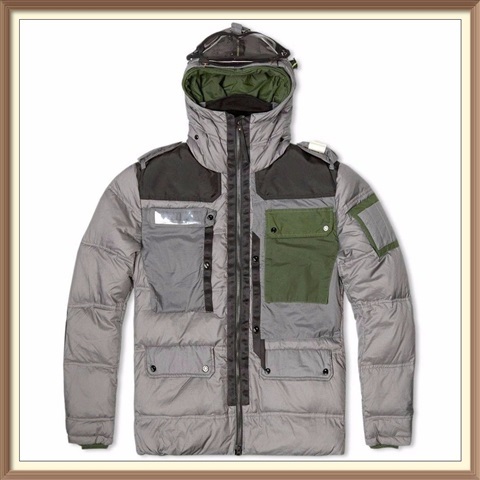 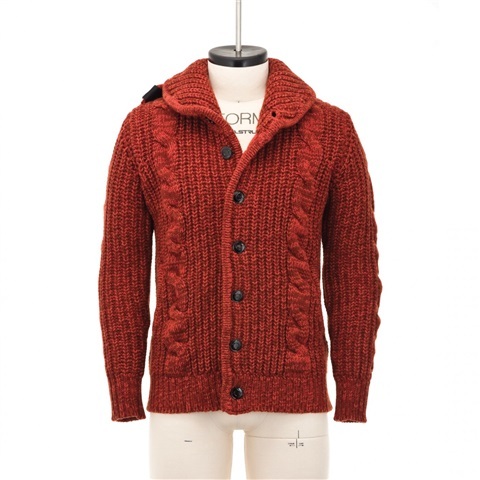 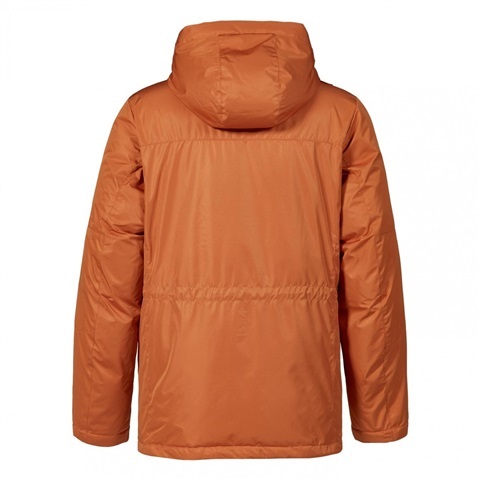 The garment also boasts a lightweight, highly efficient synthetic fill. 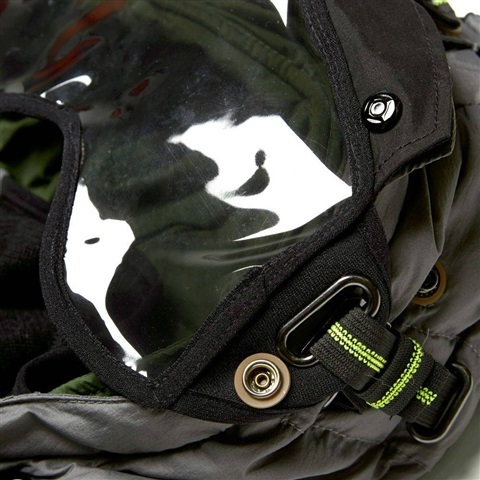 This fill captures, distributes and retains heat in cold weather conditions, enhancing both comfort and mobility. 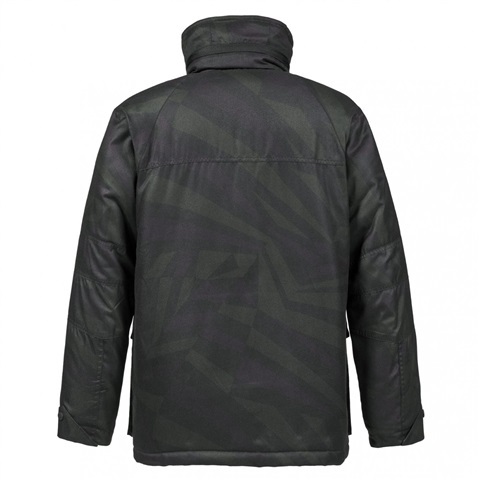 The 2018 Torch Jacket has been made available in two fabrics and in a very limited run; Dazzle Camo Poly Twill (80), Navy Flight Micro Nylon (100). 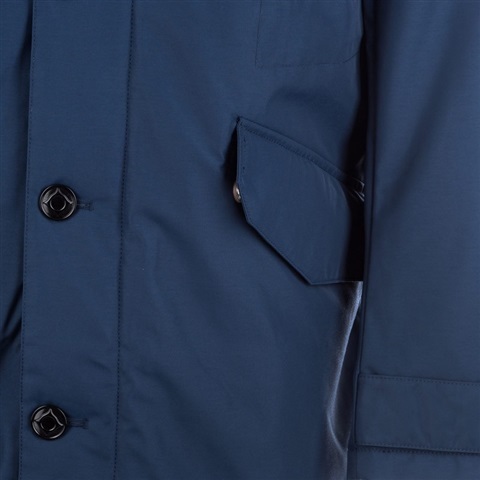 This lightweight cloth is constructed from a robust Polyester in a compact twill weave. 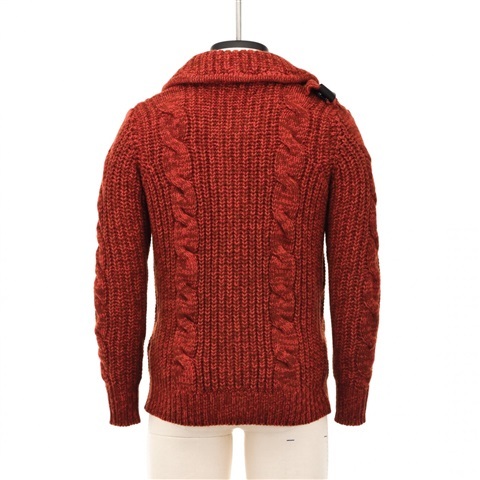 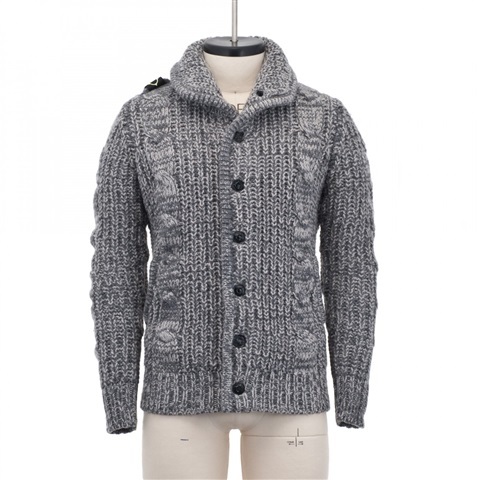 A strategically dense yarn structure affords the fabric an excellent strength to weight ratio. 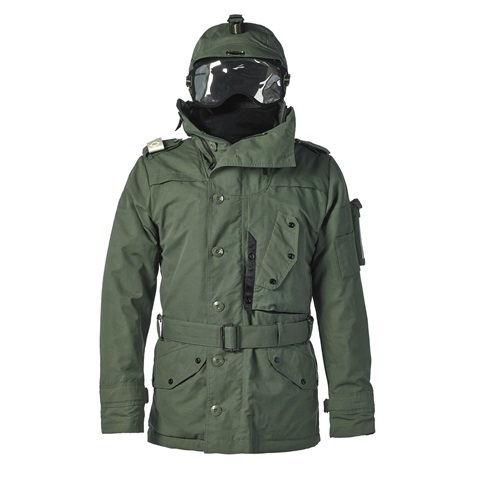 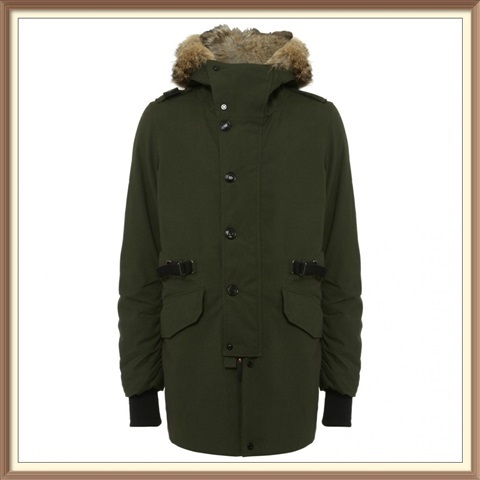 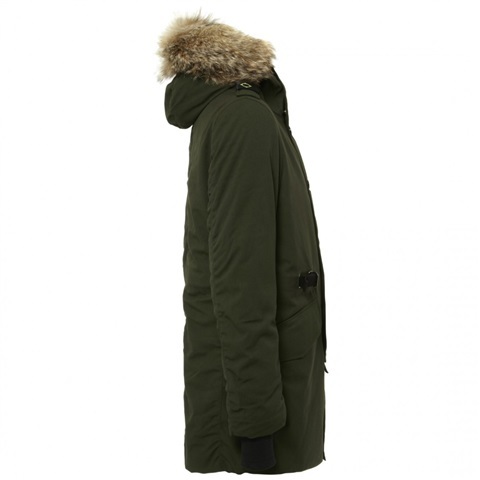 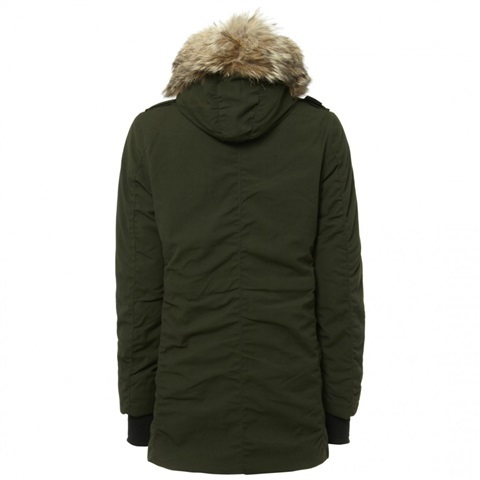 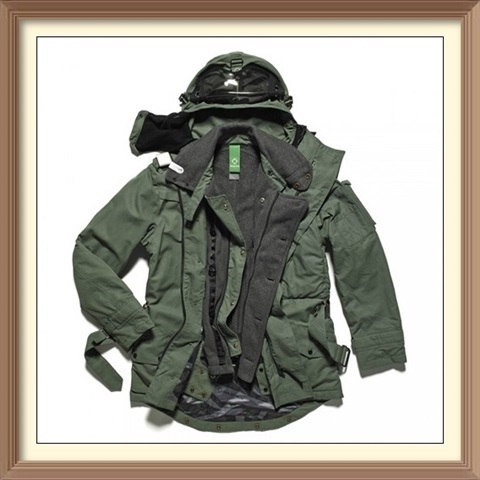 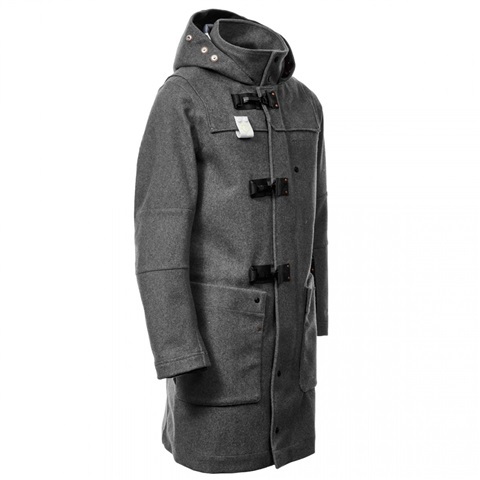 The Snorkel Hood Parka draws inspiration from the N-3B parka, a style first introduced by the American military in the early 1950s. 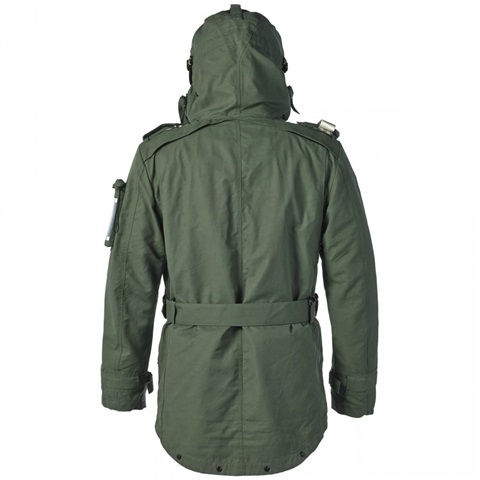 The N-3B was primarily used by flight crews stationed in cold-weather locations, favoured for its superb heat retention and face coverage, the latter thanks to an extended hood that zipped up to leave a small viewing tunnel. 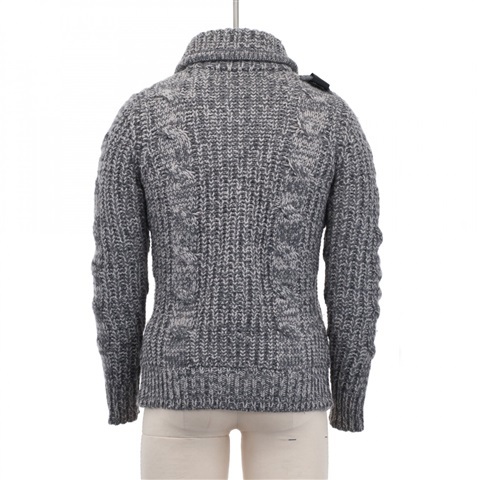 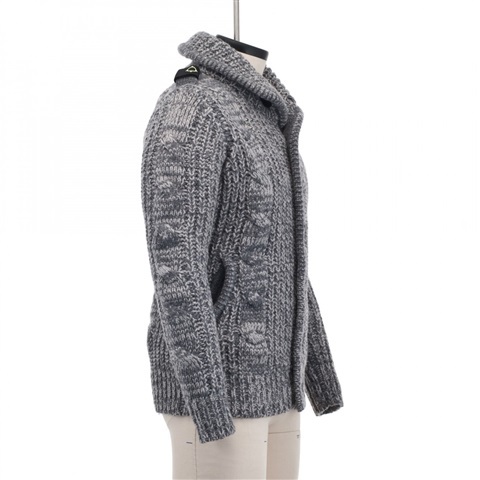 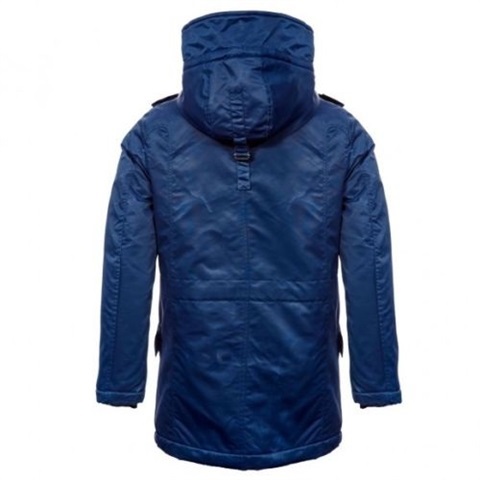 Our design, as its name suggests, also features a Snorkel Hood, one that boasts a knitted facing which houses memory wire in order to allow the wearer to shape it for a custom fit. 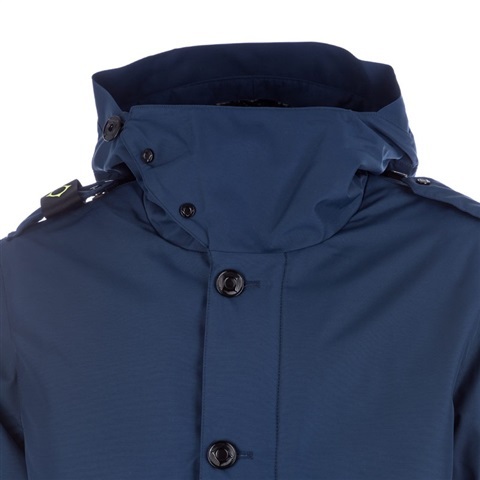 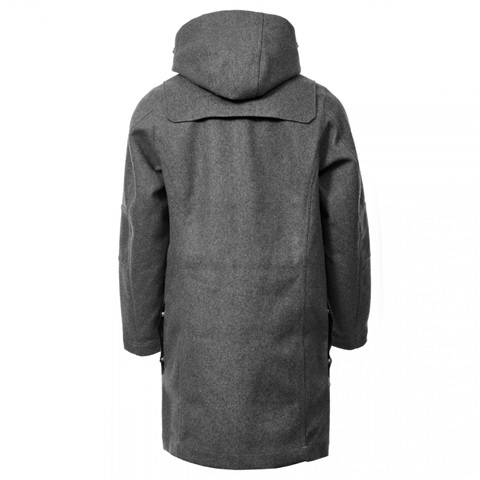 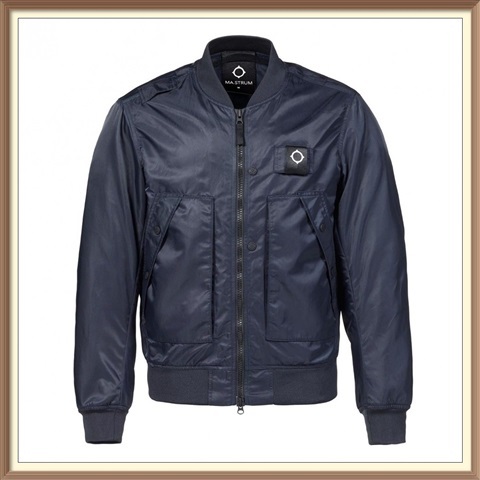 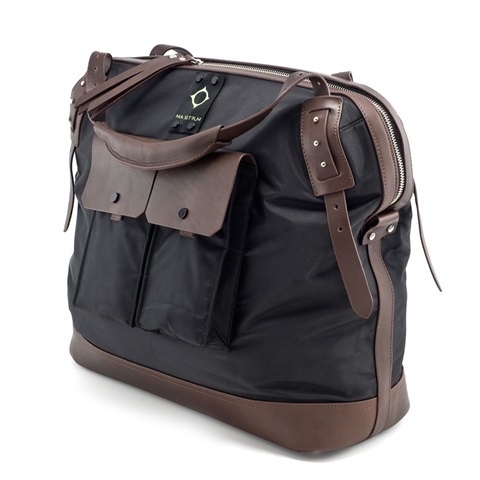 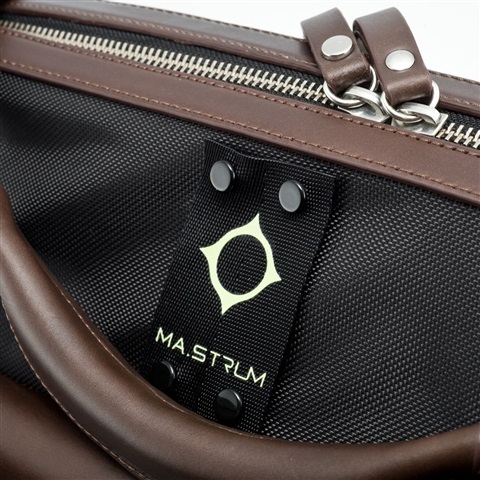 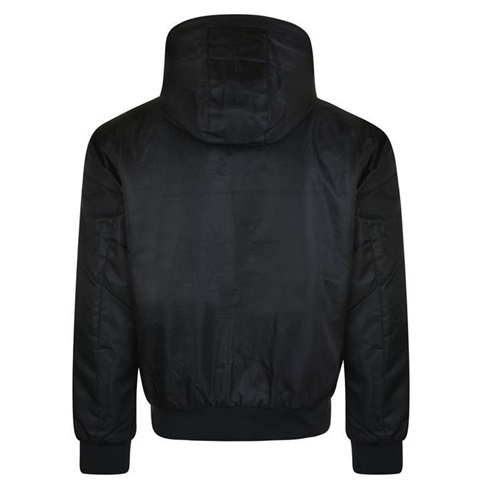 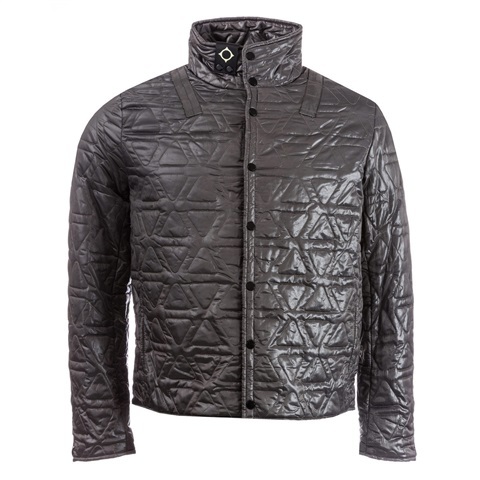 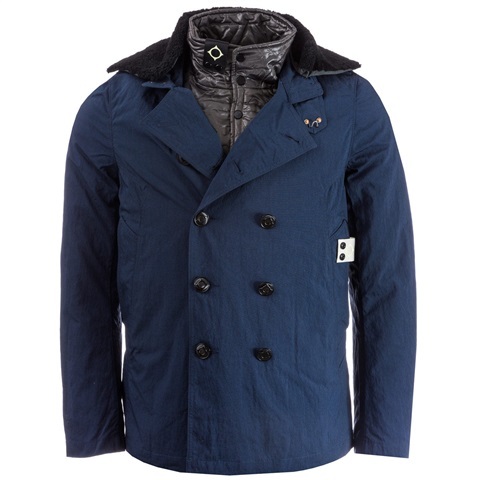 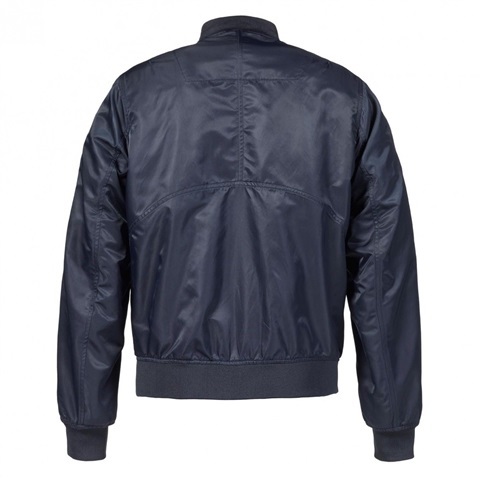 The garment outershell has been built from a highly compact nylon, one that has been subject to a patinated wax coating. This wax further bolsters its ability to repel water and gives a distinct weathered appearance once applied.